Both the men’s and women’s track teams finished in third place overall at the Central Methodist Invitational Saturday in Fayette, Missouri. After a rained-out meet last weekend, the men’s team finished with a team score of 101.5 points and the women’s team earned 99.3 points in Fayette. Five first-place finishes powered the team’s strong performance. Also over the weekend, some of the team’s throwers competed in Pella, Iowa, at the Central College Invite. Three of the first-place finishes came from the men’s runners. Elijah Farrales won the 400-meter event with a time of 48.23 seconds and Mitch Henderson won the 800-meters with a time of 1:57.07. In the 4×400-meter relay, Farrales anchored the team along with Henderson, Eddie Barrett and Kyle Kubernat for a first-place finish at 3:19.60. 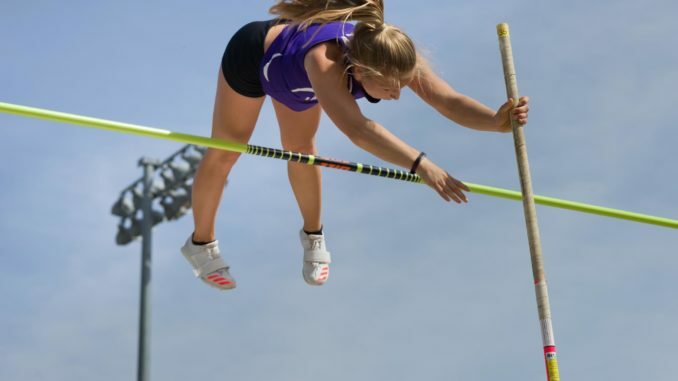 Hannah Sells set a personal high mark of 3.65 meters in the women’s pole vault, good for first place. Gemma Saathoff won the women’s 1,500-meter with a time of 4:50.68. 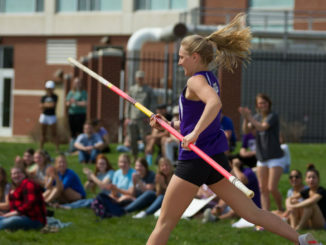 At Central College, javelin thrower Elle Renault won the event with a distance of 133-1. Grace Feeney won the shot put portion of the heptathlon with a distance of 9.81 meters and earned third place overall in the event.